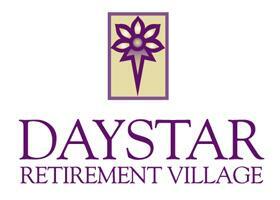 Daystar Retirement Village â€“ Independent and Assisted Living apartments. West Seattleâ€™s premier retirement community is nestled amidst gardens, walking paths and the Pacific Northwestâ€™s natural beauty. Life at Daystar is enjoyable and gratifying â€“ full of opportunities and activities that inspire and delight. Daystar is a warm neighborly community full of friends, opportunities and activities to enrich your life. Personal choices allow for residents to create exactly the right amount of independence and freedom â€“ or a little extra help to make life more enjoyable. Daystarâ€™s unique setting has walking paths with beautifully landscaped and lovingly tended gardens. We border a lovely park and are conveniently located across the street from Westwood Village shopping center. Our amenities include four dining rooms, an exercise/activity room, a library, and a pool room. The staff at Daystar is caring, warm and devoted to always being on duty to meet your needs. They make sure the Powell promise is fulfilled â€“ making Daystar a place youâ€™ll be proud to come home to. After all, youâ€™re a part of their family and when youâ€™re a family, itâ€™s just the way you do things.